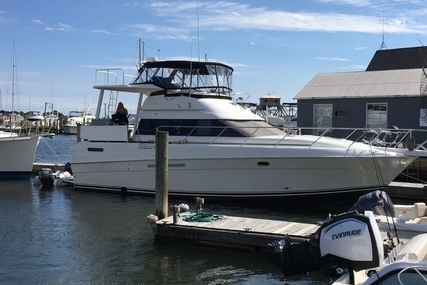 Silverton has been building bluewater yachts on the Jersey shore for the past four decades, bringing value for money and high levels of luxury. Its roots began in the 1800s when Henry Luhrs, a German immigrant, got involved with outfitting trade ships before owning a chandlery and thereafter his own ship. Henry and his sons continued their love for the sea and the family heritage by building and repairing family boats and fishing boats on the New Jersey coast, building over 1,000 boats a year. In the year 1969, Henry’s sons, John and Warren bought a small boat builder named Silverton Sea Skiffs and with the techniques learned from their father, they were soon a great success. Over the following years, the brothers continued to build larger and more sophisticated models and during the 1980s, the Silverton brand started prospering. Thus, John and Warren bought back the Luhrs name and Silverton reached the forefront of aft-cabin cruising yachts. 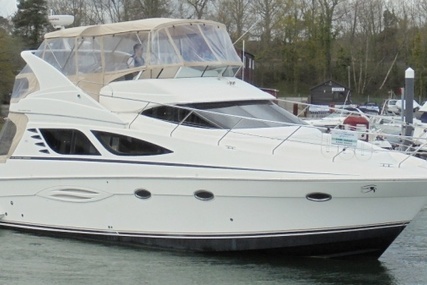 Silverton was responsible for innovations such as the SideWalk, a moulded stairway on the side of the flybridge. Silverton continued to expand and deliver designs of style and elegance into the new millennium, priding themselves of being the best in value. Silverton yachts gained importance throughout the world and has risen above to become an acknowledged leader in its’ class with great success due to the continuous efforts in listening to their owners’ preferences. It has invested in new construction technology with a passion to excel and the preserved tradition of craftsmanship, product quality, dependability and dedication has ensured Silverton achieve unmatched performance, comfort and value. Silverton is evolving, excelling, leading and is committed to the notion that the achievement of product excellence and becoming a successful yacht manufacturer is not a difficult task, but it can be accomplished by progressive management in association with dedicated dealers and manufacturing partners. 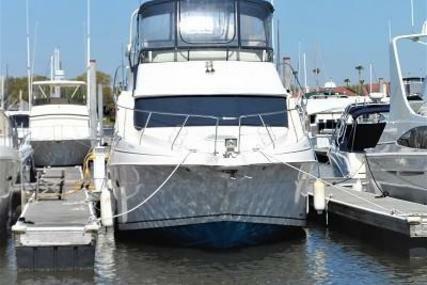 Silverton continues to expand and bring the yacht and boating market excellent value for money. 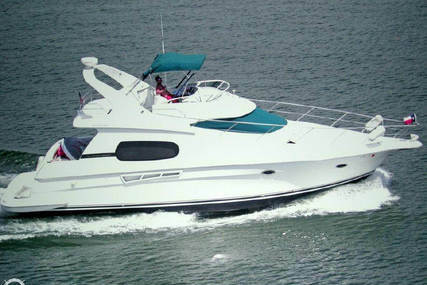 So, choose from many Silverton yachts for sale listed at www.rightboat.com and step aboard to make memories with your friends and family. 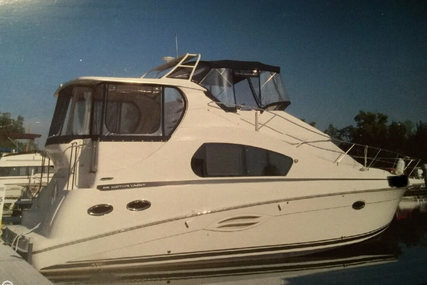 And if you have a pre-owned Silverton yacht, you can sell your yacht online through www.rightboat.com. 1. Who is the founder of Silverton yachts and when was it founded? Silverton yachts was founded by Henry Luhrs in the year 1969. 2. Where are the headquarters of Silverton yachts? 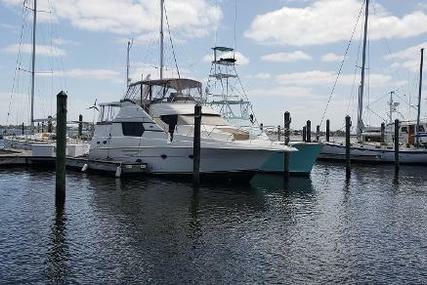 The Silverton yachts headquarters is located in New Jersey, U.S.A.
3. Who owns Silverton yachts? 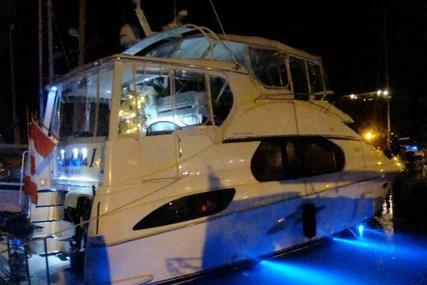 Silverton Yachts is currently owned by a New Jersey boat builder named Egg Harbor Yachts. 4. What are the special features of Silverton Convertibles? 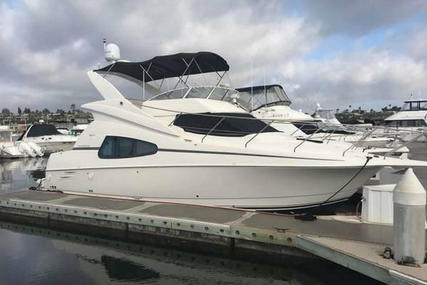 The Silverton convertibles are exemplary for all boaters who wish to enjoy the comforts of a true yacht that reaches powerfully towards the distant horizon with standard twin diesel engines. 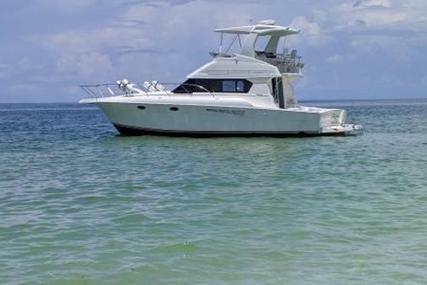 It is enhanced by generous storage and stability that provides amazing freedom to move within the artfully created spaces of the incomparable and seaworthy convertibles that are stable and dry in rough seas and tidal rivers. 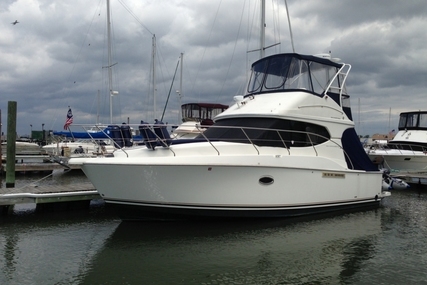 The Silverton convertibles are sturdy yachts with excellent tracking ability. 50 Convertible - 51' 7"
45 Convertible - 47' 8"
42 Convertible - 44' 6"
36 Convertible - 37' 7"
33 Convertible - 32' 7"
5. What are the special features of Silverton T-series? 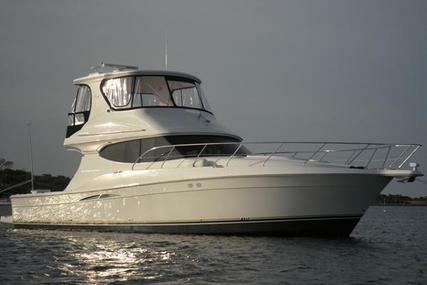 The Silverton T-Series of sportfishermen craft has earned the admiration of avid fishermen, offshore anglers and captains with its amazing stability even in difficult seas, reclining cockpit and efficiently laid out flybridge. The improved hull design of the T-series has secured Silverton yachts a place amidst the world’s most elegant convertibles that creates an exquisite tournament boat with extraordinary ability. 6. What are the special features of Silverton Sports coupe? The Silverton Sports Coupe comes as a classic looking hardtop cruiser with modern touches without sacrificing any performance. The Sports coupes’ standard VistaAire powered glass panel lets in the sun, the moon and the stars. 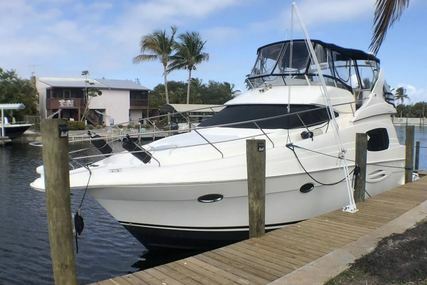 The main cabin features a sleeper sofa for two, an entertainment center area and a galley with standard microwave, cooktop, and under-counter refrigerator. 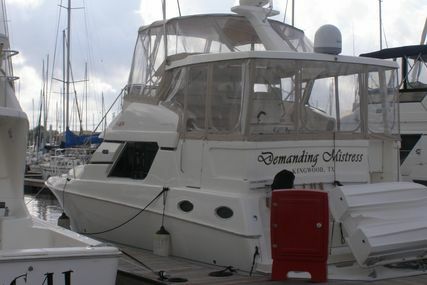 It has a spacious master stateroom, a second stateroom and standup changing area. 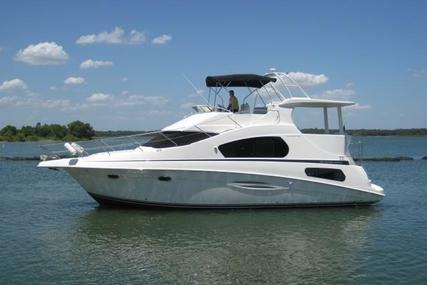 The Silverton Sport coupe deserves your consideration if you have dreamed of enjoying and exploring cruising inland or offshore. 33 Sport coupe - 32' 7"
7. What are the special features of Silverton Sport bridges? 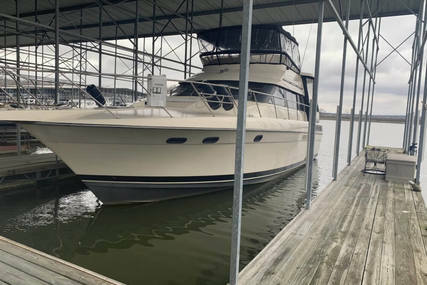 The Silverton Sport bridge is a yacht that draws the applause of all who see her and it has the power in its standard twin Volvo IPS 500 engines to realize the aspirations of the most ardent cruiser. You can go on an extended stay on water and the sport bridge will accommodate as many as six travelers who will call her home during the stay. 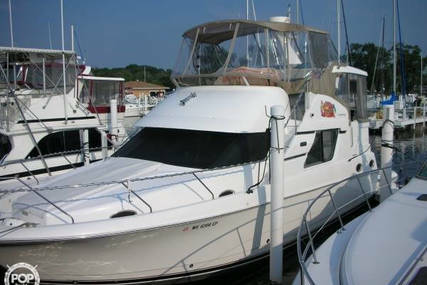 In the first year itself, the 38 Sport Bridge won hearts and was the second-best-selling boat in Silverton’s line. 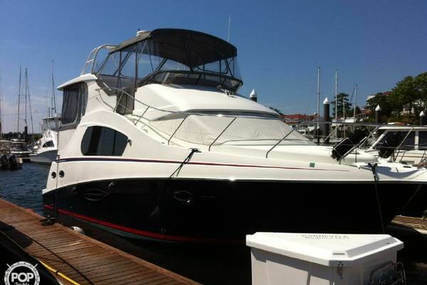 43 Sport Bridge - 43' 5"
38 Sport Bridge - 39' 11"
8. 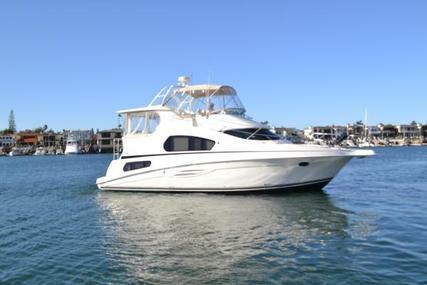 What are the special features of Silverton Motor Yachts? The Silverton motor yachts are designed for families in search of more room and luxury than usually seen in an entry-level craft. 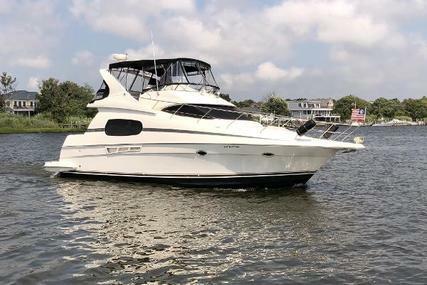 Whether you love to seek pleasure in great outdoors or the great indoors, Silverton motor yachts satisfies it with its flybridge, sundeck, covered aft-deck, roomy interiors, regally furnished and well appointed equipment and amenities. 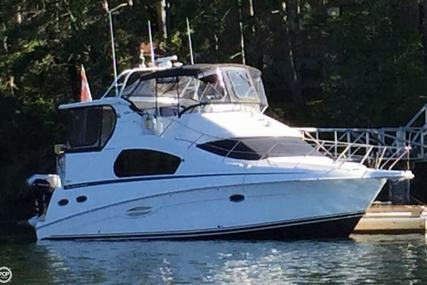 39 Motor Yacht - 43' 7"
35 Motor Yacht - 40' 2"
9. 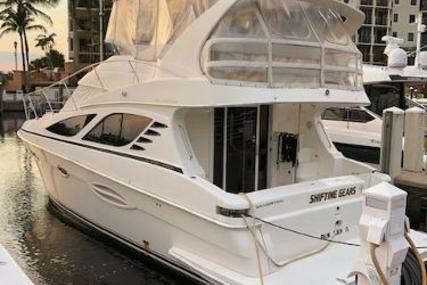 What are the special features of Silverton Ovation Yachts? The Silverton Ovation yachts are the apex of advancement in design, manufacturing, engineering and determined pursuit of value in performance and comfort. Ovation Yachts are an entirely new product concept and the first in a series of prestige yachts produced by Silverton achieving a new level of refinement.